and maintain healthy blood pressure. Sounds similar to Extra Virgin Olive Oil! P. sibirica seed extract can also be beneficial for anti-aging and looking after your skin thanks to its anti-inflammatory compounds, antioxidant properties, and ability to be absorbed by the skin. Cedar Nut Oil also contains amino acids, tocopherol-containing vitamin E, phosphorus, magnesium, calcium, and smaller amounts of iron, manganese, zinc and copper – many of which contribute to healthy skin, reducing inflammation and wound healing. Straight up Cedar Nut Oil has a low smoke point so you can use it like you would Extra Virgin Olive Oil – on salads, and as a ‘finishing’ oil, rather than using it for cooking. For your skin, use as a massage oil or face oil and gently massage a little into your skin. Is Cedar Nut Oil The Same As Pine Nut Oil? Siberian cedar is also called Siberian pine or Pinus sibirica and for that reason someone can say cedar nuts = pine nuts, but they’re slightly different. Siberian cedar nuts originated in Russia and are harvested from late September. They are crushed with wooden equipment then sorted by hand by women inside a Cedar House. You can actually tour the Megre facility if you fancy a trip to Russia! I poured a little onto my salads for a few days and it added a nice flavour, just like fresh pine nuts, without the crunchiness. 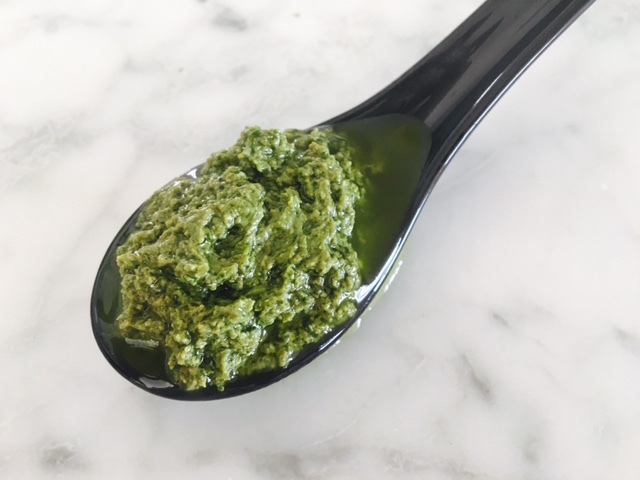 I also created a basil pesto (recipe below) with it and it was really yummy with a nice light flavour. Nutrition: 8/10 – It has a great mix of antioxidants, anti-inflammatory benefits, and the ability to improve your health via reducing LDL cholesterol and managing your blood pressure. Taste: The scent and taste of eating liquid pine nuts haha. Cost: AUD $35.99/bottle – Considering the cost of a measly handful of pine nuts, this is actually well priced. Blend everything together using a hand blender. Store in the fridge in an airtight container.